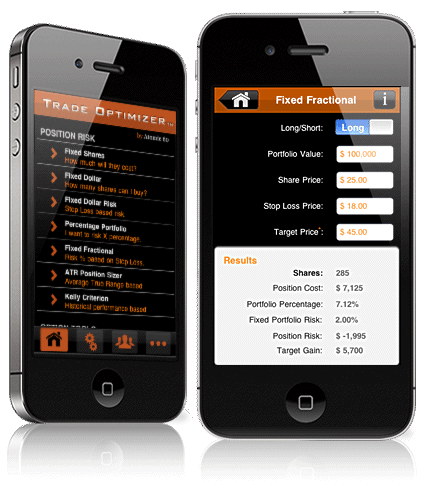 ﻿Trade Optimizer ﻿contains 14 of the most popular trading position sizing and risk analysis calculators used by professional traders today. "Next to trading discipline, money management is the single most important factor in determining your success as a trader." "Money management cannot ensure that you always make spectacular returns, but it can help you limit your losses and maximize your gains through efficient diversification."